We all know Labour Day is just around the corner and there are still a few weeks left at the cottage this summer. So, why not pick up a few interesting gems in the latest Vintages release in Ontario. 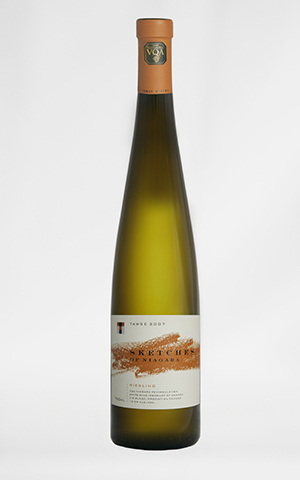 BEST FOOD MATCHING WINE is the 2007 Tawse Sketches of Niagara Riesling which is blend from four different Riesling vineyards in Niagara. This wine is just as good on its own as it is with food. If you like your wines with a hint of sweetness than this wine is for you. FUN TO TRY is the 2006 Gracia De Chile Reserva Superior Chardonnay. This organic wine is from the Bio Bio Valley in Chile which is a cool climate region suited for growing Chardonnay. Tropical fruits dominate this medium plus bodied wine that would pair nicely with chicken on the BBQ. BEST WINE WITH FRESHLY CAUGHT PICKEREL is the 2006 Fattoria Laila Verdicchio Dei Castelli Di Jesi Classico Superiore from the La Marche region in Italy. This wine has a lot of citrus fruit and great acidity. I really encourage you to give this Verdicchio a try! There are a lot of great Chilean reds in this Vintage release but I thought I’d go off the beaten path here and see if I could find some other cool choices. FUN WINE TO FOOL YOUR FRIENDS- 2005 Fontanafredda Barbera D’Alba Raimonda. This Barbera is ready to drink now and will pair well with grilled meats especially Italian sausage. Betcha none of your friends will be able to figure out this wine in a blind tasting but they’ll all love it! And at $16.95, you’ll be picking up more than one. FOR YOU ITALIAN FANS, I highly recommend the 2004 La Ragose Valpolicella Classico Superiore ($22.95). This producer is well known for it’s Amarone but this Valpolicella is nothing but light as this wine is fermented with the lees and skins leftover from their fine Amarone! GREAT VALUE- Go with the 2004 Finca Antigua Crianza. This wine hails from the La Mancha region in Spain and is blend of Tempranillo, Cabernet Sauvignon, Merlot and Syrah. Think blackberries, blackcurrents and plums all integrated together. Again a great match with anything from the BBQ. Lastly, this wine is not in this release but when I was at the cottage last week, I picked up a bottle of the 2004 Artesa Reserve Tempranillo ($25.95) from California. It was an excellent match with our peppercorn crusted strip loin and we didn’t even need to decant it. 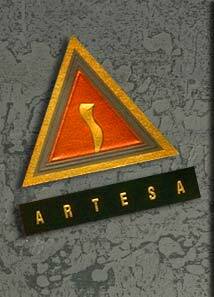 Now the Artesa Cabernet Sauvignon is in this release but why not try something different for much less. Oh, and most these wines I mentioned are under $20.00 (except where noted) so go ahead, be adventurous and surprise your friends this weekend! This entry was posted in General Wine Information, New Wines, Wine Regions, Wine Tasting Notes. Bookmark the permalink.